Tolling proponents have lined up allies of former Governor Dannel Malloy to launch a controversial public relations scheme designed to change minds on the issue. Residents and employers simply can’t afford it— especially when combined with the numerous tax hikes being proposed by Governor Lamont and the legislature’s Democrat majority. Yes, they’re considering taxing everything from haircuts to home heating fuel. Tolls won’t simply be on our state’s borders. There’s no cap on tolling rates. If approved CT can only implement congestion pricing designed to keep you off the roads during peak commuting hours. No trucks-only tolling—tolls will apply to all vehicles. AT LEAST 60 percent of tolling revenue will come from in-state drivers. It’s never been more important for Connecticut residents who are concerned about the costs associated with tolls to make their voices heard. We’re having tolls-focused forums in different parts of the state—you can find the schedule here. I hope you’ll consider attending to learn more about the issue and to hear about our alternative. 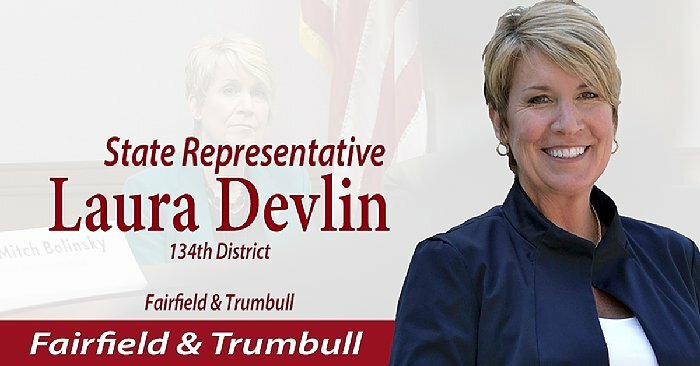 If you have additional questions or concerns, please contact my office at (800) 842-1423, or email me at Laura.Devlin@housegop.ct.gov.